oh I love all of the pinks throughout this page with the slight touch of blue!! Such a lovely page filled with beautiful subjects! Oh my...gorgeous set of photos. Beautiful page. Hope your girls don't become camera shy and will continue to let you take such great snaps! This is super pretty! I love the big heart and that striped pink bg you used. So cute and sweet! Love all the pink and that great, big heart. Darling layout! Those photos are adorable! You scrapped them beautifully! Aw these photos are so cute!! Perfect with this pretty pink kit. 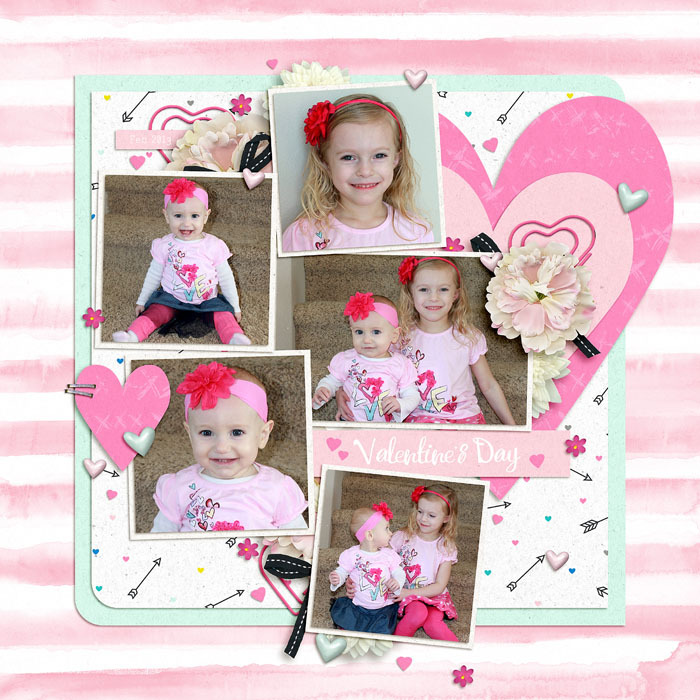 So cute layout, I love these sweet photos!